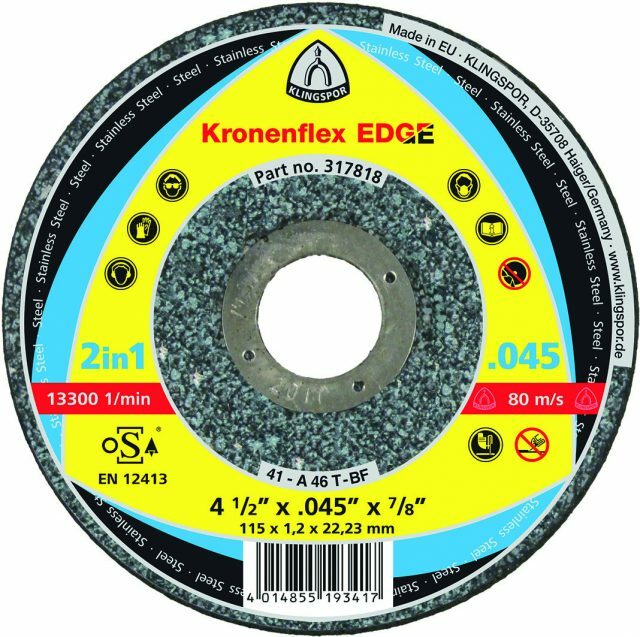 Universal flap discs for edging and surface work on steel and stainless steel. Good removal rate with angle grinders of all performance classes. Available in 4-1/2″ and 5″. Type 27 (flat) and Type 29 (beveled).